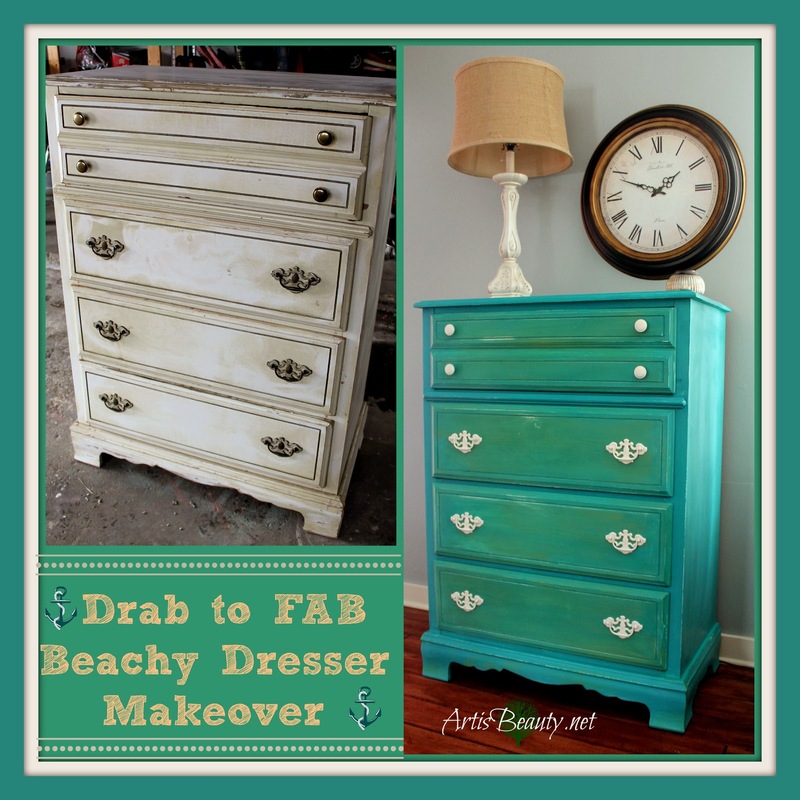 ART IS BEAUTY: Drab to FAB Beachy Dresser Makeover. Drab to FAB Beachy Dresser Makeover. and show you a furniture makeover instead of a craft. I was so excited about the latest transformation that I just couldn't wait to share. I bought this DRAB looking dresser because it was in such good shape..
NOT visually but the drawers worked great and it was in good functional condition. I painted a couple coats on the base and got started on the drawers. and did a wash of it over the blue on the drawer fronts. I love the little bit of accent that it gives to the drawers. and I love the vintage beachy feel that it was transformed into. I can hardly believe the difference. and I am HOPING that SPRING will soon be here! Until next time...Go make someones day BEAUTIFUL!